Out with the old, in with the new! 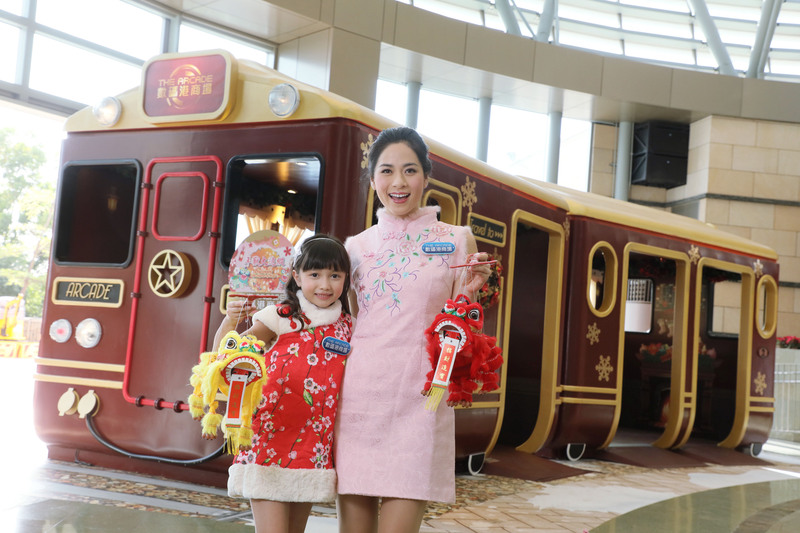 Starting from early January, The Arcade will transform itself into a brand new Chinese New Year-themed train carriage, ready to welcome the arrival of the Year of Rooster! As the peach blossom village, you can board the Chinese New Year VR Express, also decorated with the peach blossoms, and embark on an exciting journey on the lookout for the New Year Mascot　‘Nian’, and learn about the beginnings of Chinese New Year traditions. You can face off with the mascot itself with AR games, where your sight and speed skills will be tested, and you’ll be declared as a legend once you successfully triumphed against the mascot. Furthermore, The Arcade will also feature the ‘Pedal bright the lions’. By combining biking and electricity, you can simply light up the lion’s eyes by peddling hard, and by doing so, welcoming a prosperous year of Rooster. Furthermore, you can also get a complimentary set of the ‘Fortune Spinning’ Red Packet and give your loved ones cherished blessings by spending up to the specified amount. Put on the VR headset, wander through forests of peach blossoms and bamboos, and search for the New Year mascot. Using the AR gaming sensory technique, the game will take you into the world of the mascot, and you’ll compete by collecting Chinese New Year traditions-related object, where the quickest one wins the game, an educational thrilling experience. Simply hop on the bicycle and pedal, the kinetic energy will turn into electricity and will light up the eyes of the lion. Spend up to 200HKD worth of electronic payment (Credit Card/ EPS/ Octopus) in one purchase, you can redeem 1 set of the Fortune Spinning Red Packet (8 packets per set), and up to 5 sets can be redeemed in one time spending.